Kemal Okuyan, the GS of the CP of Turkey assessed the Cuban Revolution regarding its 60th anniversary and the world communist movement. 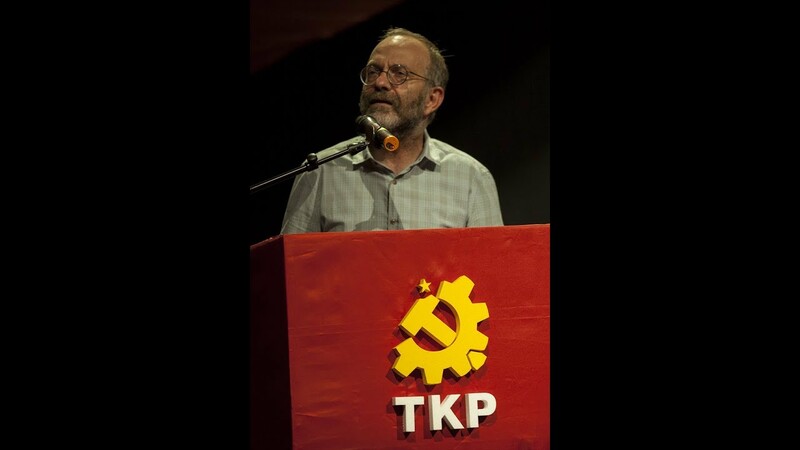 General Secretary of the Communist Party of Turkey (TKP) Kemal Okuyan answered the questions of the news portal soL on the Cuban Revolution which celebrates its 60th anniversary the following month, and the current status of the World communist movement. Next week, solidarity events with Cuba will take place in three major cities. What will be the scope of these events? Kemal Okuyan: 60th anniversary of the Cuban Revolution will be celebrated next month. This is a revolution that is still alive despite all difficulties and challenges. Next week also marks the second anniversary of Fidel Castro’s passing away. Within this framework, Jose Marti Solidarity with Cuba Association (JMKDD) is organizing various events. Among these events are also three significant meetings that will be held. Meanwhile, there are also guests of TKP in the visiting delegation. This is a strong delegation that has party executives and parliament members. Do you still have the optimistic approach that the Cuban Revolution will continue to survive? KO: The world conditions make it more difficult for Cuba to survive as a socialist country. Some of the “left” governments, that led to a relative relief in Latin America, have fallen and some of them are in a tough situation. In spite of all that, Cuba has certain characteristics that have kept the Revolution going for the last 60 years. In the first place, the delegation is coming to Turkey to mainly to tell us about all that. No doubt, there is an ongoing debate in Cuba. This debate is going on in a very careful and participatory way. They share our concerns, the concerns of the real friends of Cuba, and they are very careful. However, we need to be aware of the difficulties this country is facing. There exists a very sophisticated siege against Cuba. At this point, it is important to act in solidarity with Cuba in a revolutionary perspective rather than being optimistic. 60 years of toil, the great epic struggle should never be deserted. In the following days, the 20th Meeting of the World Communist and Worker Parties will be held in Athens. Does the Communist Party of Cuba participate in these meetings? KO: Of course, regularly. Cuba, as a state, naturally has diverse international relationships. However, this is a platform between parties, not states. They seriously prepare for these meetings and present their contribution. Which parties participate in this meeting from Turkey? KO: TKP and Labor Party (EMEP) participate in these meetings. EMEP did not participate for a certain period; we have learnt that they will participate this year. This is a good thing. TKP hosted this meeting in 2015. In the end, it was a very successful organization. This year the meeting is in Athens. Also, this meeting marks the 100th anniversary of the establishment of the Communist Party of Greece (KKE), KKE will hold a large-scale political and cultural event after the meeting. What is discussed in these meetings? Okuyan: Each year a subject is determined. All the participant parties make presentations regarding the determined subject and discussion develops in that way. Also, resolutions are made regarding joint actions and events. No doubt, it is a known fact that there is a difference of opinions among the communist and worker parties in the world. These meetings are important for the crystallization of these differences, so that some of these differences may be trivialized by mutual interaction while others are clearly underlined. In the end, these events take place in an environment of solidarity. Which subjects cause the difference of opinions mostly? KO: There are different opinions regarding the assessment of the international situation. In the past, there were parties that had a positive approach towards the European Union. Nowadays, there are parties with positive assessments towards the China-Russia axis. On the other hand, there are parties which argue that the communist movement should follow a completely independent path and the struggle against US imperialism has to be positioned on this path… TKP is in this group. Doubtless, there are different approaches regarding the relationship with the politics of establishment and the attitude towards social democracy. We are voicing our ideas and engaging in discussions in an environment of solidarity. Do you believe that the world communist movement will move forward in the near future? KO: Yes. The current deadlock of capitalism is also catalyzing this. Additionally, in a series of countries, there is significant activity and pursuit in the communist parties. The number of parties acting with a revolutionary responsibility is increasing.